Breakfast doesn't have to be boring. And with warmer weather, it's fun to to move it outside on a patio or deck. Here, I've simply boiled two eggs. 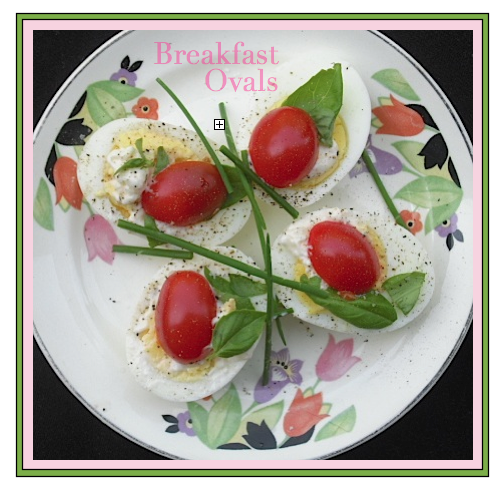 On each, I placed a bit of mayonnaise on the warm yolk, salt and pepper, and topped each with a halved grape tomato and a flurry of torn basil leaves and a few chives. A slice of avocado would do well, too, Next time, I'll add a bit of smoked paprika. Maybe a drop or two of hot sauce ... lots of possibilities.